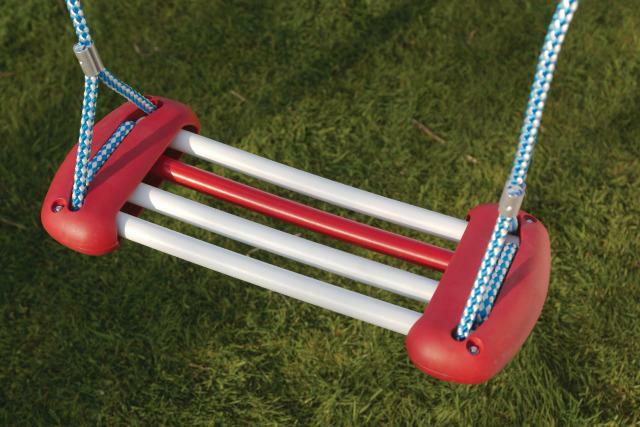 A new swing seat designed for comfort. Bright red and white. Weight limit: 165 lbs. Excellent service. Delivered on time. Great communication from friendly, efficient tele staff. Swing is sturdy and in place. Very good company to deal with.